The founder of CNN says in a TV interview that he's been diagnosed with a progressive brain disorder that leaves him forgetful and exhausted. 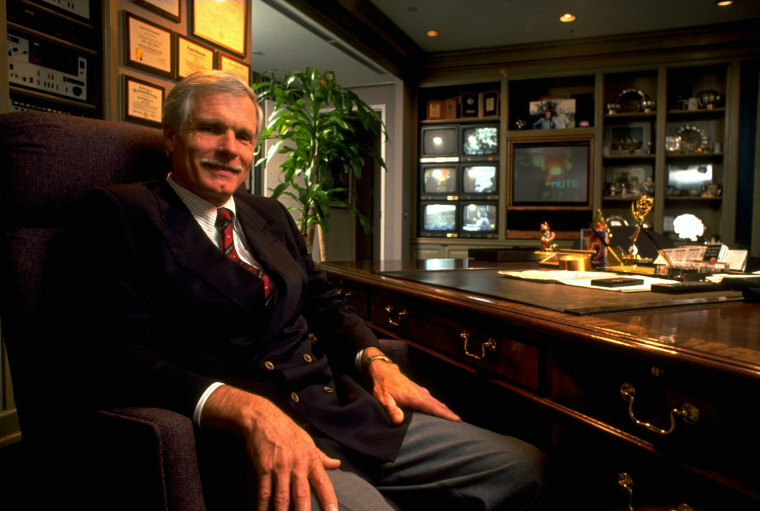 Ted Turner has never been one to shy away from a challenge. He’s sailed to victory in America’s Cup races, assembled World Series-winning baseball teams, transformed a modest billboard business into a global media empire, and called attention to environmental crises around the world. Now Turner faces a new challenge, this one perhaps the most formidable and personal of all: dementia. In an interview on CBS Sunday Morning, Turner, 79, told Ted Koppel he has been diagnosed with Lewy body dementia. "Thank goodness I don't have that," he said, adding that at that moment he couldn't remember the name of his condition. "That's dementia. I can't remember what my disease is," he said. Lewy body dementia is a progressive brain disorder that affects an estimated 1.4 million Americans. Its symptoms resemble Alzheimer’s and Parkinson’s. It’s the same form of dementia that Robin Williams was diagnosed with prior to his death and is known to affect vision, which can result in hallucinations and delusions. The disease’s symptoms also include muscle rigidity and difficulty balancing. Turner said he is often exhausted and forgetful. His diagnosis was jarring to many who have worked with him — and thought of him as invincible. Turner first made national headlines in 1977, when he captained the yacht Courageous, winning the America’s Cup. The victory came shortly before Turner launched the Super Station, a first-of-its kind cable television station he created in the 1970s. The television channel, known as WTBS, was an offshoot of the advertising business Turner had inherited from his father, who died of suicide when Turner was 24. Turner filled its lineup with a combination of television reruns, old movies, and baseball games. Turner owned and loved the Atlanta Braves baseball team and broadcast their games on a near-daily basis. Seeing the interest that the nightly games generated, Turner began exploring the idea of launching a cable station devoted to sports, 24 hours a day. He was disappointed to learn that Capital Cities was already working on the same idea, in the form of ESPN, which launched in 1979. That’s when Turner looked for something else that would sustain viewer interest for up to 24 hours a day, eventually deciding on a news station. On June 1, 1980, he launched the Cable News Network, now known as CNN. Its round-the-clock coverage set the stage for today's 24-hour news cycle. Operating on a shoestring budget, the original CNN headquarters shared space in an old mansion in downtown Atlanta with Turner’s Super Station — and with the professional wrestling matches Turner broadcast on WTBS. Early CNN staffers also remember the days that Turner would walk through the newsroom in in his bathrobe, after sleeping over in the apartment he kept upstairs. By the early 1990s, CNN had grown to more than 20 bureaus and launched other news networks, including Headline News and CNN International, which took CNN’s reach to over 100 countries. During the first Gulf War in 1991, CNN began broadcasting images of missile fire and correspondents in gas masks as they reported from the deserts of Kuwait. Roth was among the correspondents dispatched to the region. “We were the only global media inside Baghdad letting the world hear and then see the start of the war developing for months," he said. As CNN became a global household name, Turner counted among his friends world leaders Mikhail Gorbachev and Fidel Castro. Turner has repeatedly said he’ll never get over ceding control of his media empire. After a pair of mergers in the latter part of the 1990s, first with Time Warner and then with AOL, Turner was forced out of the company he built. Those who know Turner and have spent time with him recently say he now has good days and bad days. His irascible spirit, by all accounts, remains intact, as does the admiration from his former colleagues. What life will be like for him as he faces a disease that threatens to silence him is unknown. But those who worked with him predict he will approach his ailment the way he has approached everything in his colorful career, bravely and on his terms. “Ted Turner’s a fighter,” said Barbara Pyle, a former vice president of environmental policy for Turner who began working for him 40 years ago. They maintain a close friendship.